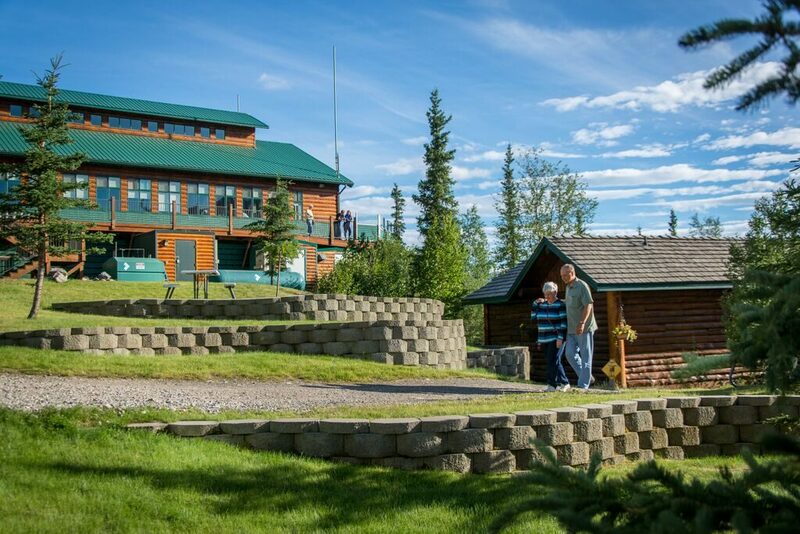 Spectacular views, genuine Alaskan hospitality, and inviting accommodations await at the Grande Denali Lodge, located atop Sugarloaf Mountain, above the hustle and bustle of the highway. 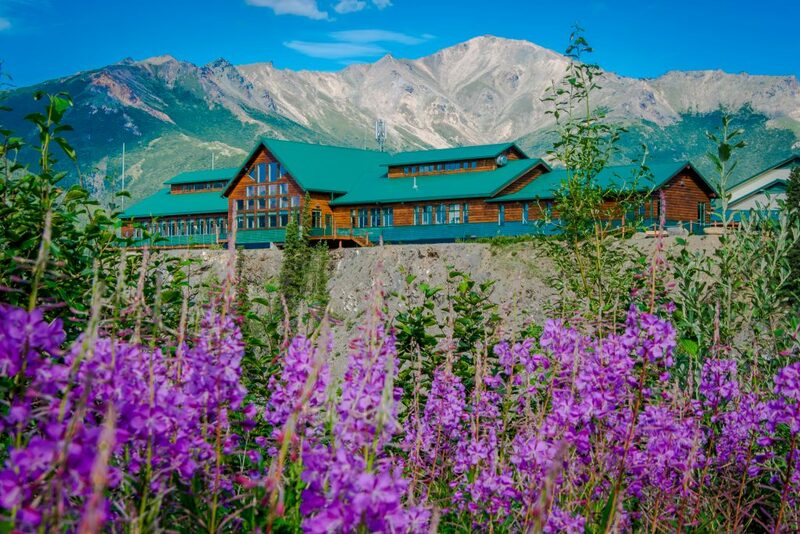 The Grande Denali Lobby features warm timbered log accents, stone fireplace, high vaulted ceilings and windows looking over Denali National Park. 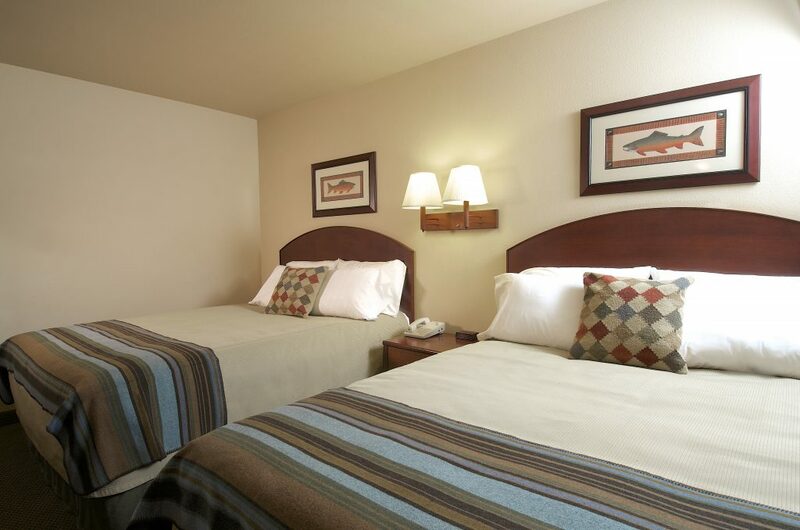 160 spacious rooms offer two queen beds or one king bed, coffee maker, hair-dryer, refrigerator, wireless internet and flat screen television. Guests can upgrade to a view room based on availability. 6 Alaskan-style log cabins are also available. Guest laundry is available on site. On-site dining includes the award-winning Alpenglow Restaurant, Peak Spirits Lounge and Peak Espresso. The Sugarloaf Room can be reserved for small meetings and special catered events. 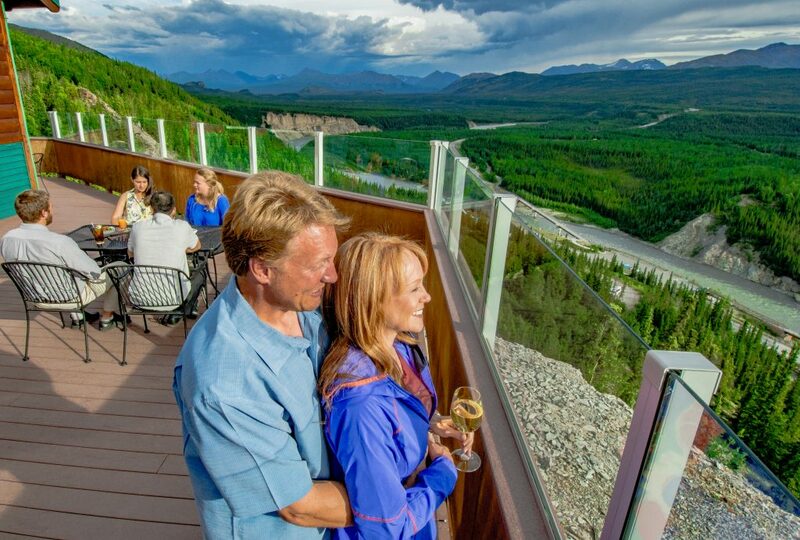 Courtesy shuttle operates daily with service to shops, Denali National Park Visitors Center, Alaska Railroad Depot and the Denali Bluffs Hotel. Tours can be arranged at the tour desk. Most tours offer hotel pick up.